For many Canadians, their idea of Saskatchewan involves rolling fields and beautiful country. While this is true of some areas, cities like Regina are seeing nothing but growth. As populations grow inside this central province, so does its need for housing and maintenance services. There is hardly an apartment block, condo complex or multi-unit facility that does not feature the home comforts of a laundry room. 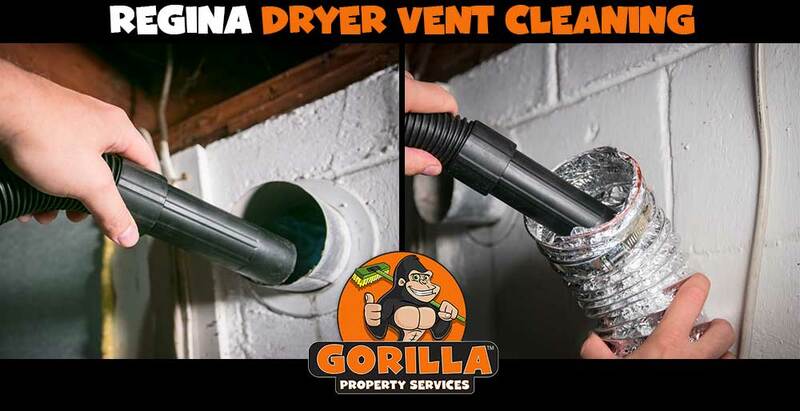 These communal spaces require routine care to stay functional and that is where a Regina dryer vent cleaning becomes a necessity. With each load of laundry that passes through clothes dryers, there is a lint buildup left behind. It is easy enough to spot this accumulation inside a lint trap but these walls of mesh can’t keep everything out. As tiny bits of debris sneak passed traps, they become stuck inside the vents and dryer ducts of your system. A bit of lint here or a shred of paper there might not seem dangerous but as these blockages grow, so does the threat to your property. Restricted air flow impacts functionality, air quality and creates potential fire risk. Functionality: As clogs begin to form inside ducts, there is less room for air to flow through your system. This means that instead of circulating damp air out, it simply sits in the drum alongside clothing. With items unable to dry properly, tenants are left needing to run dryers multiple times, creating unnecessary wear and tear, as well as admitting more foreign material into sensitive areas. This vicious cycle can lead residents to believe machines are broken and lead to unnecessary replacement. Air Quality: A damp, lint-covered duct is the perfect environment for mold to thrive. Without the ability to see inside systems, dirt, dust and mold can collect for years, dragging down indoor air quality in the laundry room itself. This is problematic for anyone but can have major impacts in shared spaces such as hospitals, assisted living communities and schools. Risk of Fire: On its own, lint is a major fire hazard. Even a small amount of it can spread into a major problem, so there is no question that having it pile up is bad news. Without proper duct cleaning and maintenance, there is a major threat of an impending dryer fire. 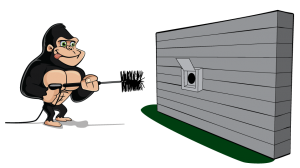 When your property is in need of professional air duct cleaning service, our Gorillas are prepared to treat properties large and small in Regina and surrounding areas. Our experts have the technology to track clogs throughout your system, leaving no stone unturned. By using cameras, brushes and vacuums, vents are left completely clean in no time at all.